After working on Cunard’s Queen Victoria and Queen Elizabeth for two years, Keith Maynard became Entertainment Director on Queen Mary 2 this year (2012), alternating with Paul O’Loughlin. In that position, he is in charge of the entertainment and activities onboard the transatlantic liner. 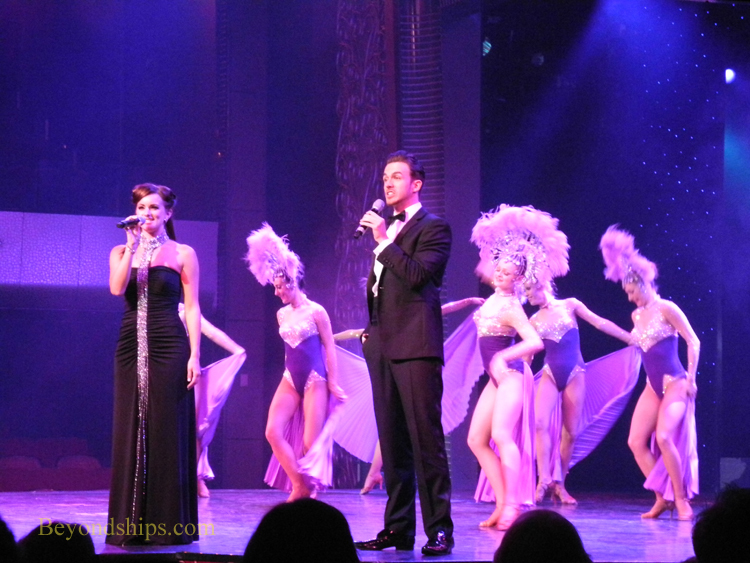 Above: The Royal Cunard Singers and Dancers perform in Queen Mary 2's Royal Court Theatre. Looking beyond the onboard entertainment, Maynard noted some other factors which hallmark the onboard experience on Cunard.